I'm so excited to share a fun collaboration I had the opportunity to do with my friends over at Take Heart. The reason I'm so excited is 20% of the proceeds go to Latin American ChildCare. 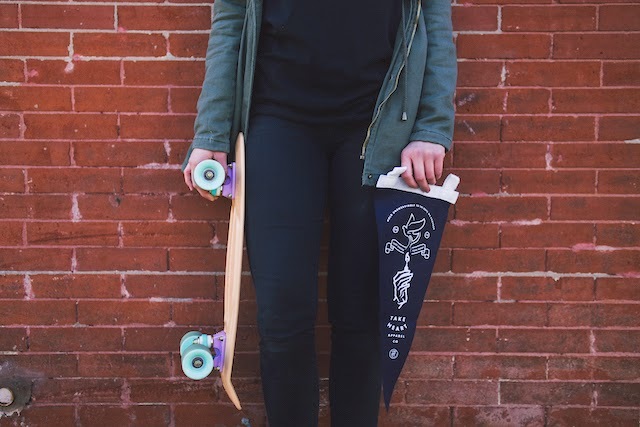 Not only does Take Heart Apparel make really awesome shirts, sweatshirts, and beanies, they have a "choose your charity" program so you choose where you give the 20% from your purchase (with the exception of this collaboration). The heart behind Take Heart isn't selling really cool, well designed products, it is supporting gospel-based charities that transforming lives. Latin American ChildCare works to transform the lives of children through education and ministry. They have a sponsorship program where you can support a child as they go to school with a safe environment and medical attention as well as uniforms, food and dental care. They have been working since 1963 affecting more than 100,000 children. I love that I had the opportunity to partner with two great organizations for this project. All through a simple design that was fun to make. 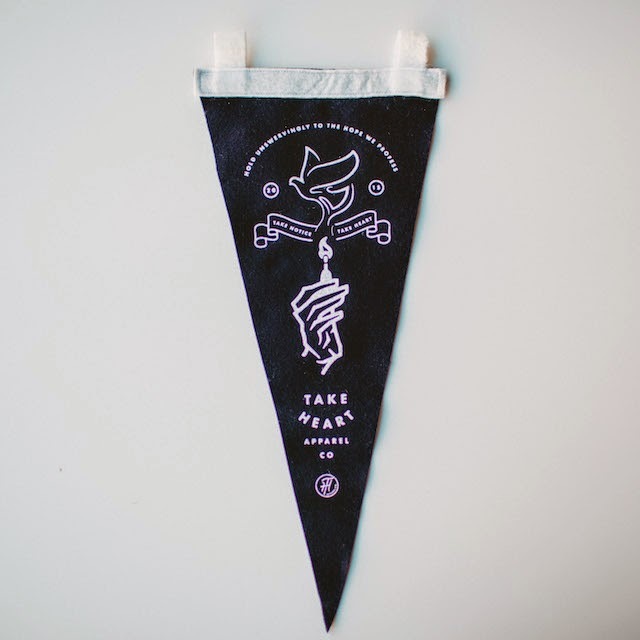 I constructed the pennants and the screen printed design is by Garrett DeRossett. 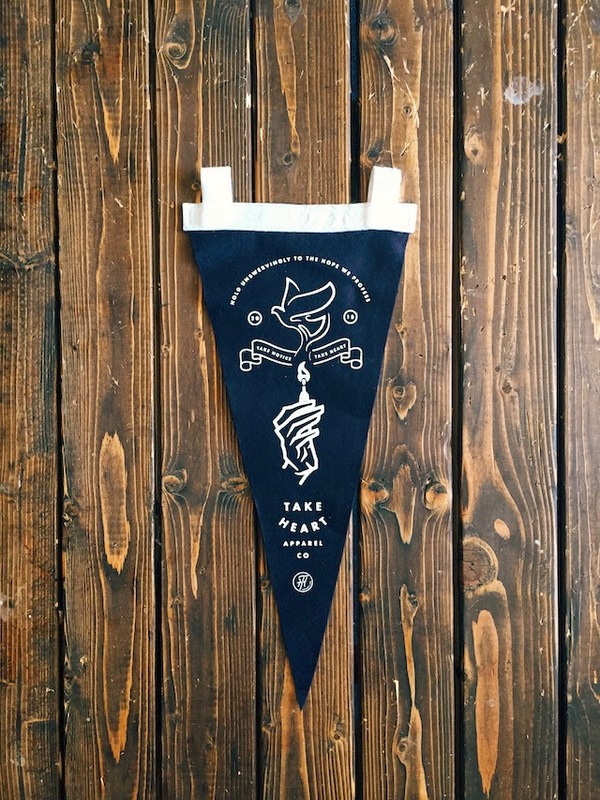 Take Heart runs very limited quantities, so head on over to their website to get your pennant before they are all gone! My other favorite Take Heart items include: this patch and this cozy sweatshirt. 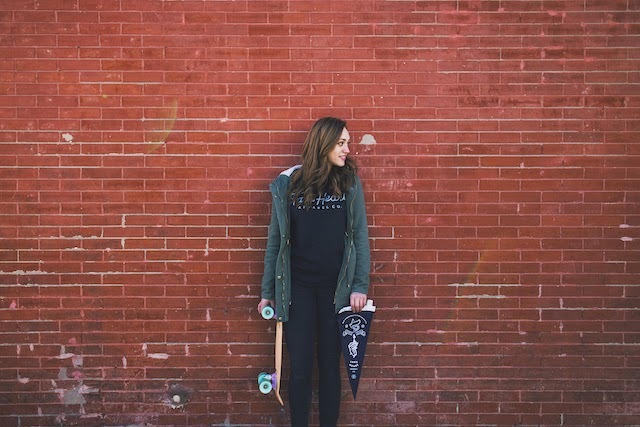 *Follow Take Heart Apparel on Instagram for a giveaway!